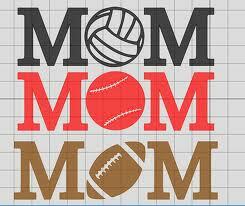 I have never been interested in sports…until I became a mom of 2 boys. I still can’t say I want to spend hours watching sports on television regularly. However, I have learned to appreciate doing that once in a while. It is a nice way to hang out with my little sports enthusiasts. I can still try to get them to bond with me by shopping or cooking but watching sports with them is not a horrible option either. I would definitely rather we watch other things on TV but I can get excited about football too. Watching their excitement is precious and that helps me. I had a lot of fun watching the Superbowl with them as they had created banners of their favorite team and did a dance of joy after their touchdowns. Maybe taking my boys to their sports games, whether it be soccer or basketball, has made me appreciate the professional games as well. I enjoy watching my kids play on their teams because they are my kids and I pretty much enjoy all that they do. But, those games have also tuned me in to all kinds of rules of the sport and the high energy. So, if I can watch a team full of grade school kids play a sport then why not occasionally enjoy it to bond with my boys and encourage their budding interests. I may never be ‘one of the guys’ and they may continue to have ‘boys’ parties’ with their dad when I’m not around. However, I can keep up a little with their hobbies while also exposing them to mine. In the end we may all be more well-rounded in life! This entry was posted in Fun, Parenting, Sports and tagged Bonding with boys, bonding with sons, moms and sons, sports, Superbowl. Bookmark the permalink.